Facebook is the one of the most popular social networking site, and creating an events page on it can ensure that your events will be publicized and reach a large audience. But sometimes, quality is more important than quantity. Reaching the correct target audience has become more necessary than reaching a larger audience, which may not necessarily be your target. 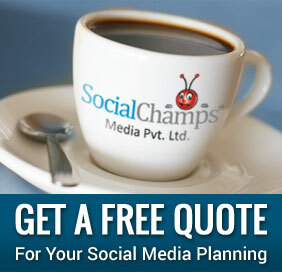 Facebook events is one of the most popular function in social sites. In the latest Facebook news, the event creation page now has an interesting and useful features of creating target specific event pages. 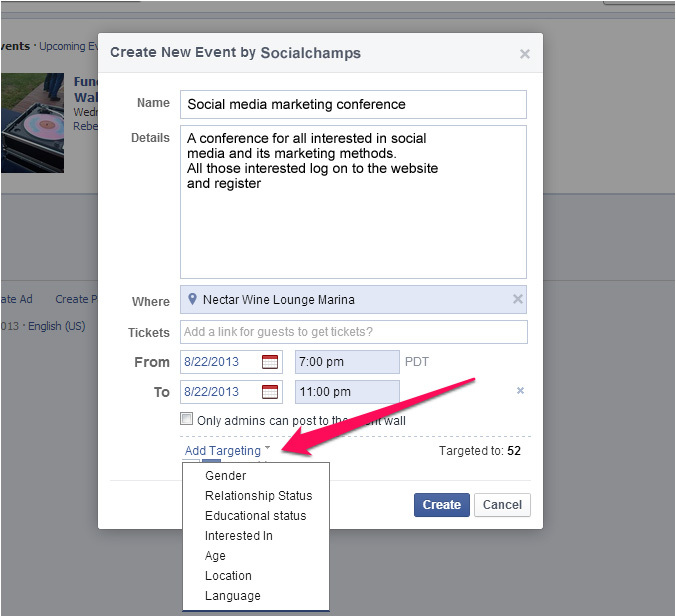 Page admin can now create Facebook events targeting only a certain demographic population, so only people within a specific subset will see the event. For instance, a store having a sale on women’s clothes would get to target only women by using this new targeted event creation. Facebook events would help attract more specific audiences and increase popularity and sales. This new exciting feature would definitely be a boon for businesses, small as well as large. Although, this capability is only for Facebook Pages and not users, Facebook events is the much awaited development in Facebook for businesses. Targeting has been a significant aspect of marketing which can also affect the success of the business. The new Facebook page targeted events, would prove extremely beneficial to spread awareness only among the required consumers and filter the irrelevant group of audience.Facebook gives advertisers the opportunity to target their ads to very specific groups of peoples. The above qualifiers would prove to be extremely useful to get the attention of a particular section of Facebook users. You can focus your attention to the relevant Facebook population and earn their likes.